It is a common mistake to believe that tango salon/ social tango and tango therapy are the same. For this reason, some tango teachers started to promote their classes as tango therapy. Some of them also published some of the articles from the media in their websites/brochures, as a proof that their tango classes are “therapeutic”. 1.- Increase in the problem of the disease/disorder of the participants in the classes because they need therapy, or, in the best scenario, does nothing to help them. 2.- A great damage to the people/therapists that are really working with tango as a therapy. Moreover, a great damage to tango therapy itself because after some traditional tango classes the participants who believe in the benefits of the tango as a therapy are going to say that it did not work. The articles from the media only show the advantages of tango in palliative care, but they do not explain that the dance was modified according to the needs of the participants. They do not say, for example, that some studies were based on tango practices where the participants went to the sessions every day for twelve or more days. They did not say that the participants must continue with the practices for at least half an hour per day, every day, after the lessons. In tango therapy, we use tango as a pathway in order to help people with some diseases or disorders. Nevertheless, it is necessary to understand that it is not for everybody and the sessions (not classes) have to be led by somebody with experience in working with vulnerable people. Most of the tango therapists are psychologists, psychiatrists, counsellors, dance and/or movement therapists, or people working within the caring professions. Just let me give some basic examples in order to clarify why. One of the problems is the mobility. They lose balance frequently and they have problems with turns. If they join a tango class, the teacher will recommend them using “Tango shoes”, also the classes are normally held in venues with a wooden floor. This only provides a high risk of falling down, with the consequences that only you can imagine. A normal figure like a forward ocho can be like a suicide movement for them, because they have already problems with turns. Loss of memory is the main difficulty for them. In Tango salon, the creativity, the possibility to create your own choreography is very important. Some Tango Teachers also do not believe in the traditional tango steps and they teach tango in a more free way. If a person with Alzheimer’s disease goes to participate in one of these classes, then tango is not going to help him/her. They need to work with structures, steps, pre-prepared choreographies because they need to train their memory. Much of the tango music is not happy, it is melancholic, some also depressive, even if you do not understand the lyrics you can “feel” it (otherwise you cannot express yourself properly in your dance). Tango dance is also slow, but not always. It is the opposite for what a person with depression needs. The Milonga style is cheerful, happy and snappy. 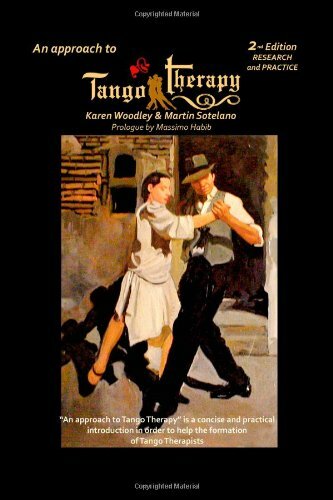 For many tango teachers tango and Milonga are the same dance style but Milonga is simply quicker! In Tango Therapy, we carefully select the music according to the needs of the participants and we work in a different way with Milonga than in Tango. These are some simple examples but there are many more situations that show why a Tango social class cannot be confused with Tango Therapy. Think about this, if you need to go to some kind of therapy (it does not matter why or what type of therapy you need), your therapist will recommend you do something on a regular basis, maybe three times a week, maybe more. Tango therapy can give you an alternative for the boring exercises and you can replace them dancing tango. However, it must be an exercise any way. You must do it in a regular way and in the way that will help you with your problem. A tango therapist will give you not only tango lessons; they also are going to prepare follow up exercises in order to continue with your therapy in your home. A Tango Therapy session also includes a series of complementary exercises that you need to do in order to complete your treatment. In addition, they will teach you the tango style that is appropriate for your needs. Tango Therapy is based in movement / dance therapy and we add the particular advantages that Tango has but we may modify the tango styles, figures, and choreographs in order to reach our goal that it is not to create tango dancers, but to improve the quality of life of the participants of the sessions.